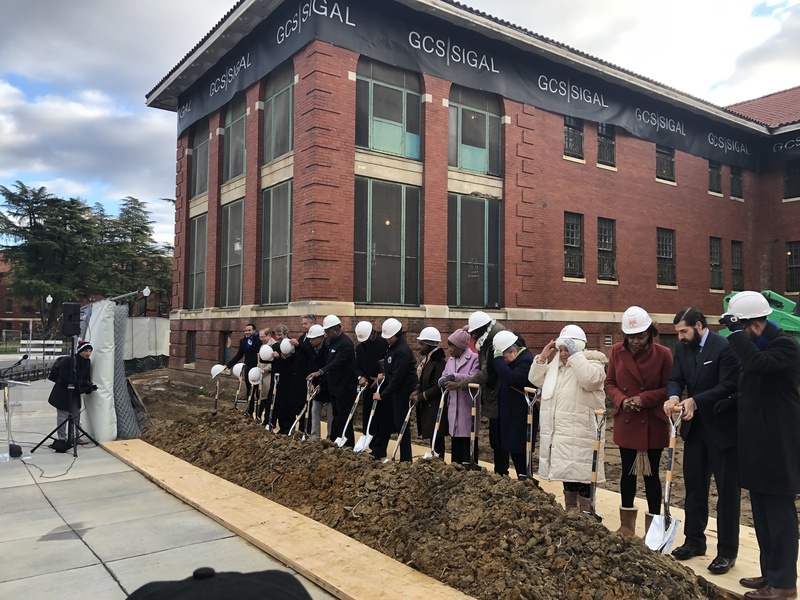 This week, Flaherty & Collins Properties and our development partner, AEDC, officially broke ground on The Residences at St. Elizabeths East, a $109 million dollar mixed income housing apartment development in Ward 8 in Washington, D.C. at the site of the former St. Elizabeths Hospital East Campus. 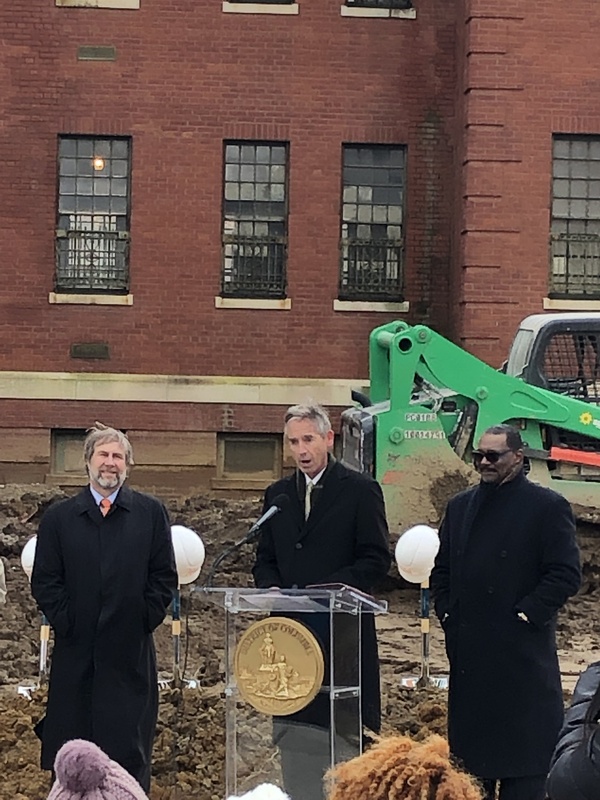 The Residences at St. Elizabeths East will consist of a total of 252 units, 202 affordable apartment homes available at 50 percent of the area median income (AMI), and 50 market rate apartment homes, presenting a unique 80 percent affordable, 20 percent market rate, mixed-income product. 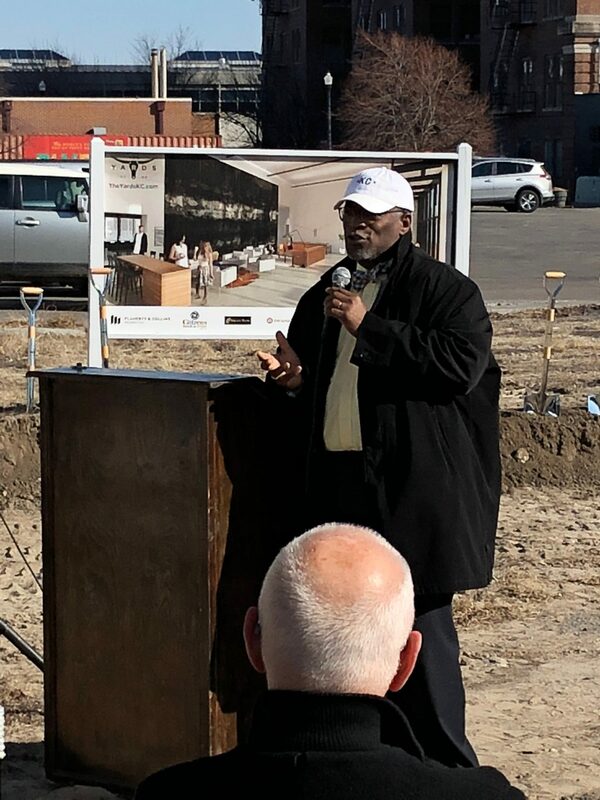 “The quality of the development at The Residences at St. Elizabeth East will connect, activate and enhance the relationship of the campus to the community and the community with the campus, creating a shared quality of life experience for all,” says Stan Jackson, President and CEO of AEDC. 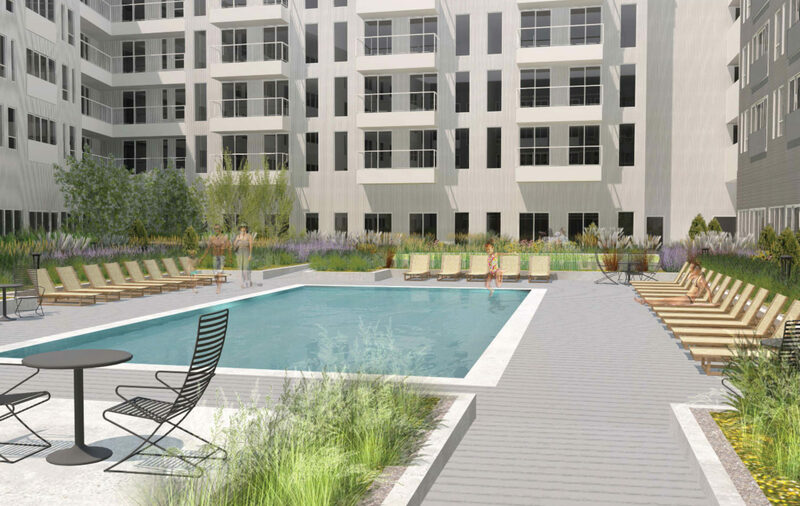 At 183 acres, St. Elizabeths East is the largest remaining undeveloped parcel in the District of Columbia. 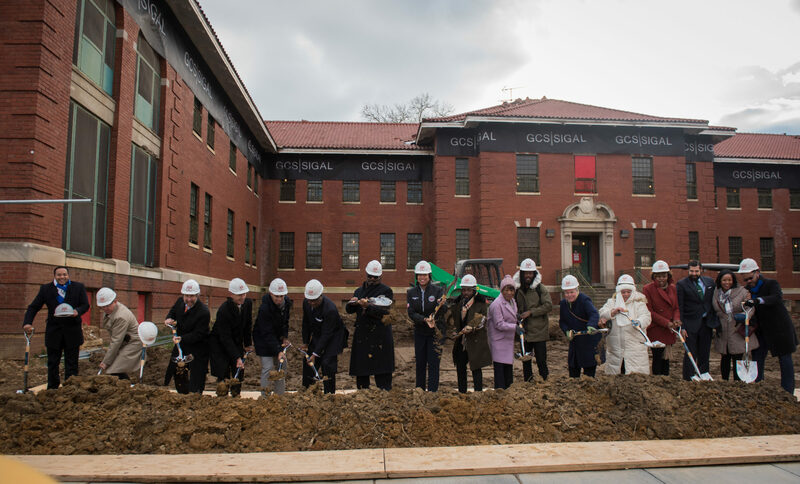 The Residences at St. Elizabeths East project, as a part of Phase 1 for the East Campus’s redevelopment, will be part of a larger vision for the St. Elizabeths East Campus and will serve as a holistic community revitalization effort, combining business, research, higher education, and entertainment. 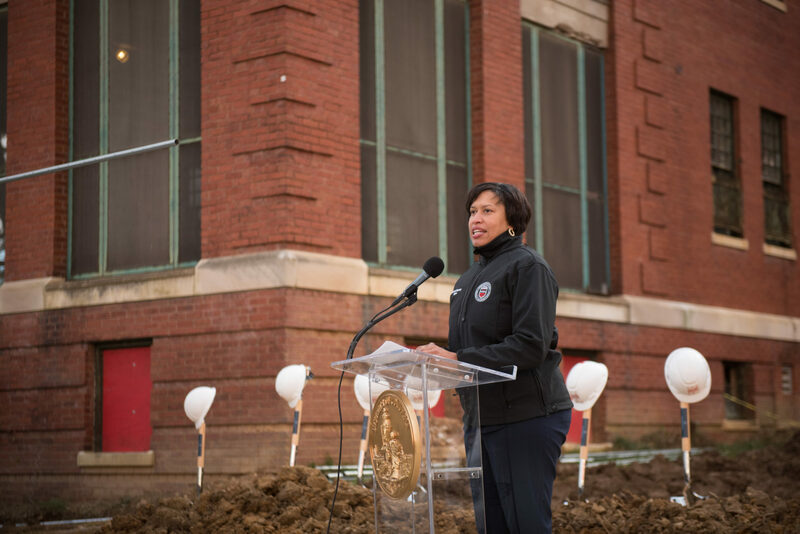 This includes the new $65 million Entertainment & Sports Arena, an 18,000 square foot center that holds 4,200 guests and serves as the home of the WNBA Washington Mystics and Capital City Go-Go of the NBA G League. 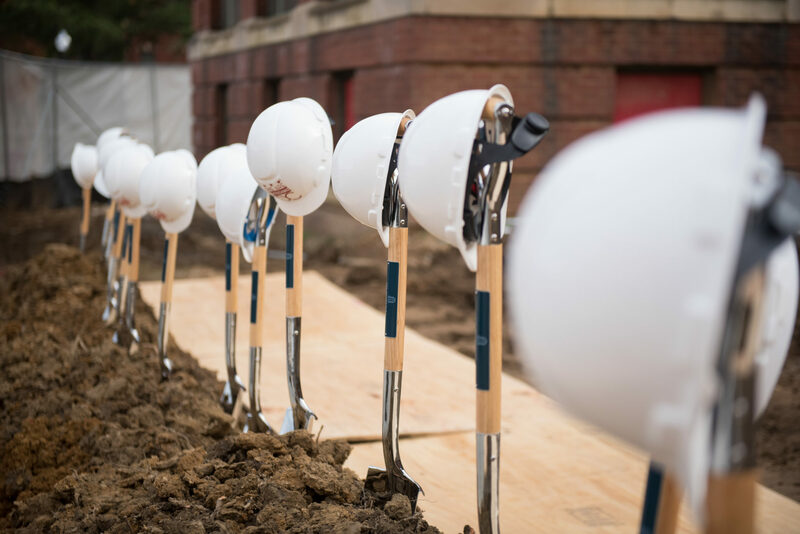 The development will be made up of the seven historic buildings on CT Campus, all of which are currently vacant. 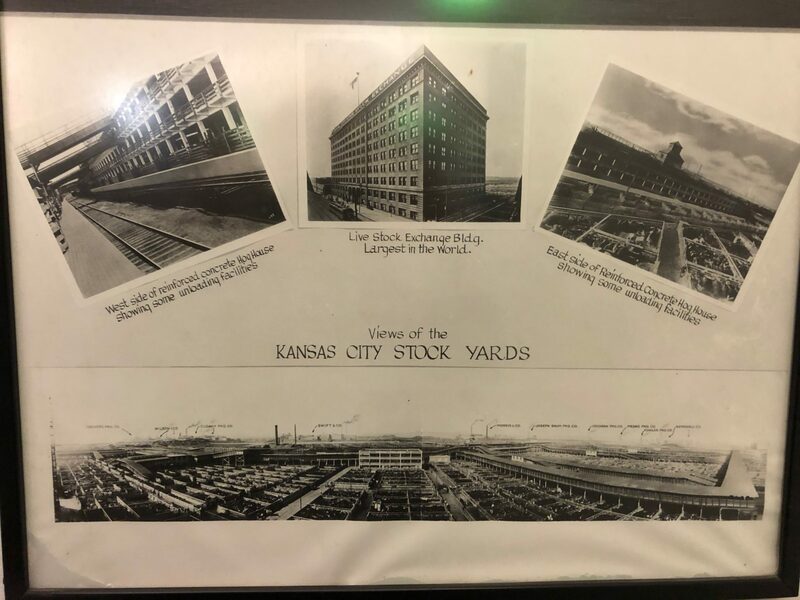 The seven buildings are interconnected and are situated in an oval pattern, with one central building surrounded by the remaining six. 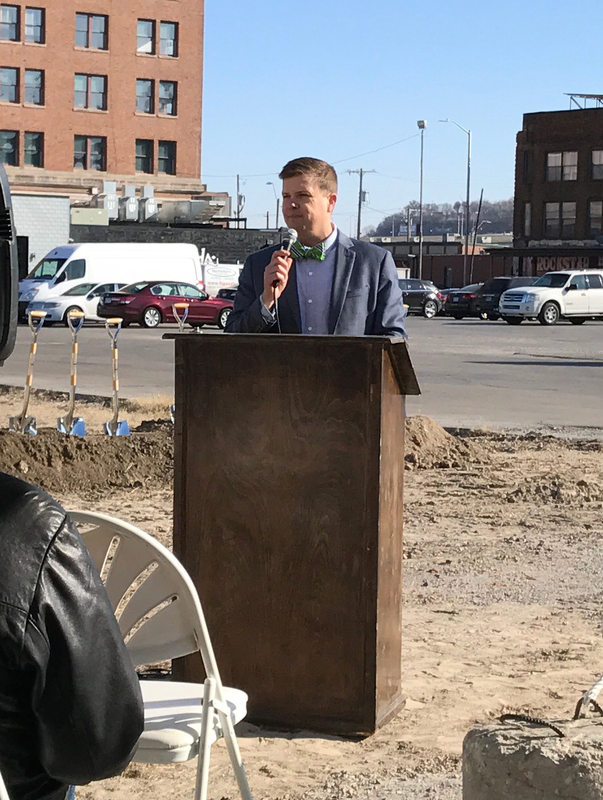 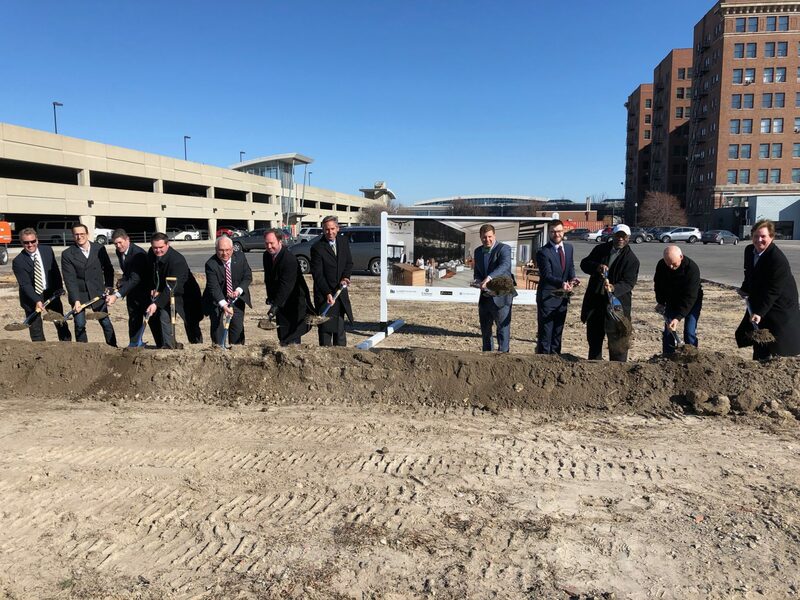 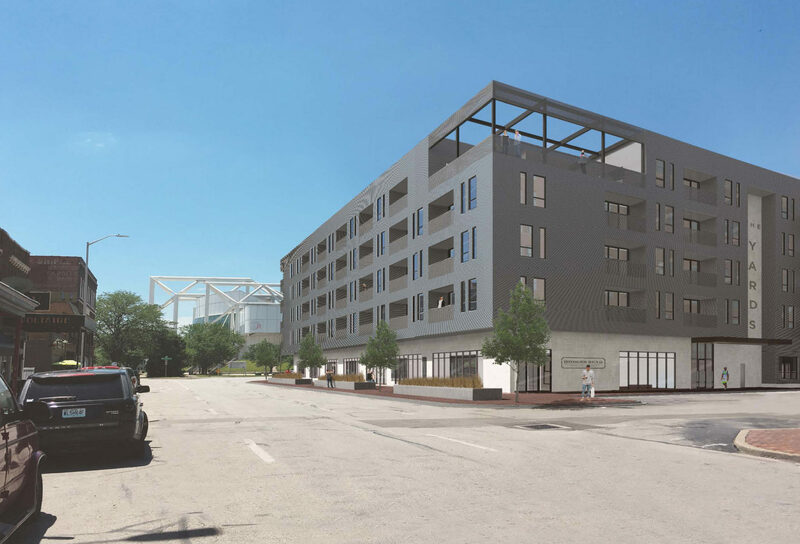 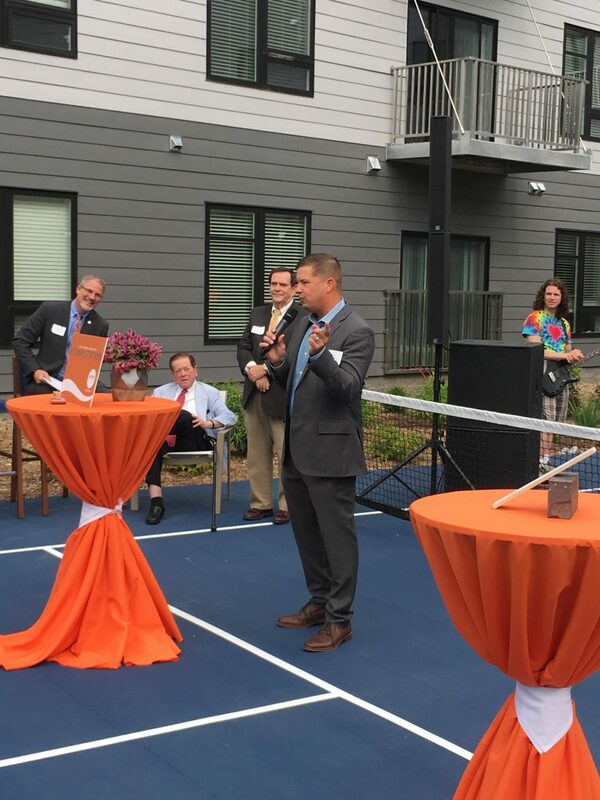 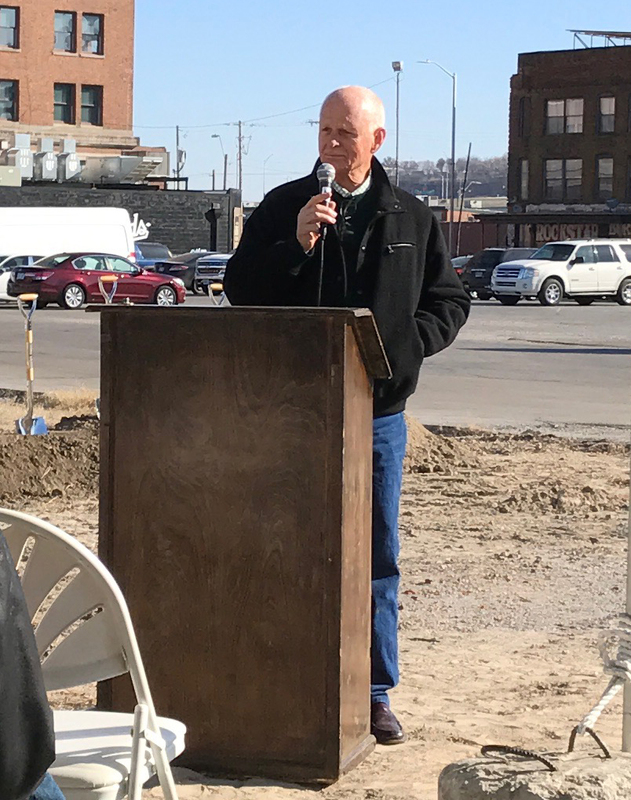 The Residences at St. Elizabeth’s East will offer larger units that cater to family needs and will provide opportunities for local entrepreneurs to offer services to the residents and be a part of the neighborhood revitalization. 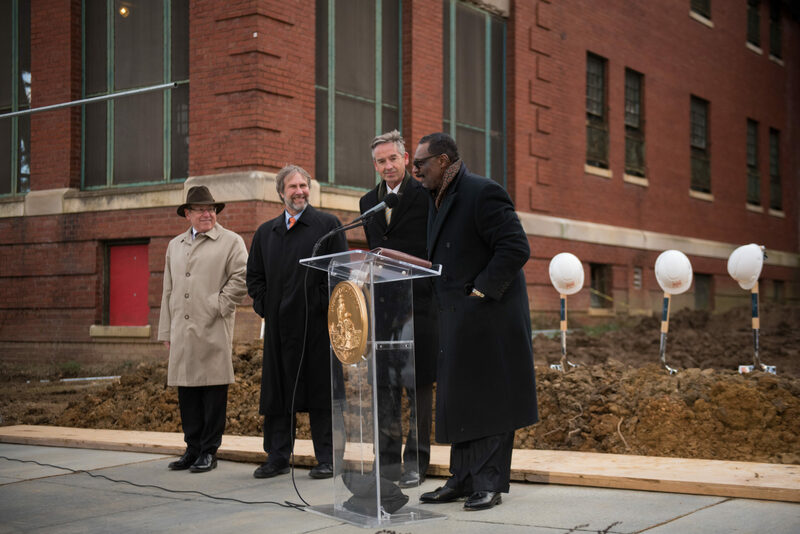 This housing will be a catalyst for clean and safe housing in the East of the River and Anacostia neighborhoods, and will provide critical population density for the St. Elizabeths East Campus’s early success. 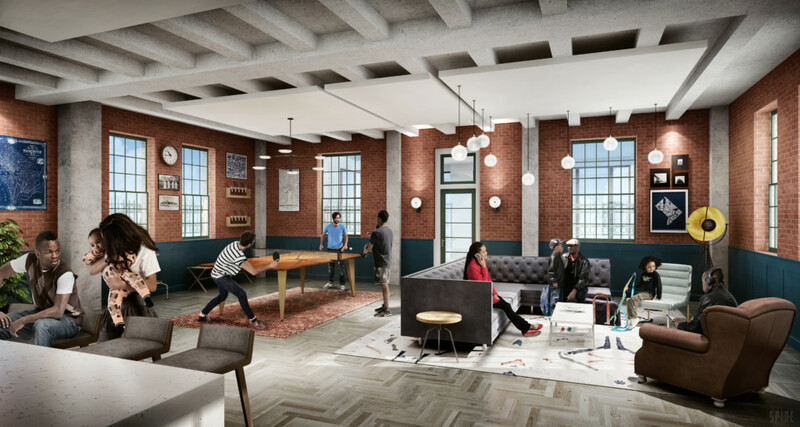 The project’s income mix will attract an array of DC’s citizens to the campus for living, working, and community building. 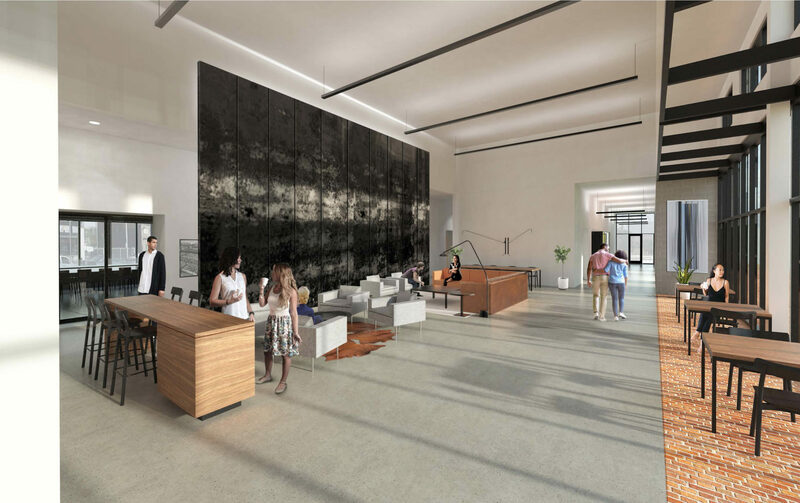 The Residences will be authentic to the district’s rich heritage and will be focused around the active lifestyle of the Congress Heights burgeoning community. 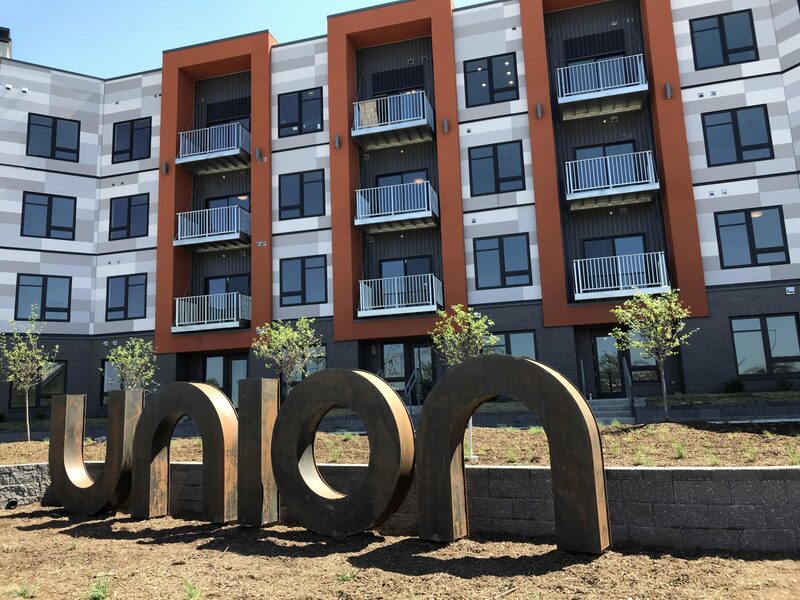 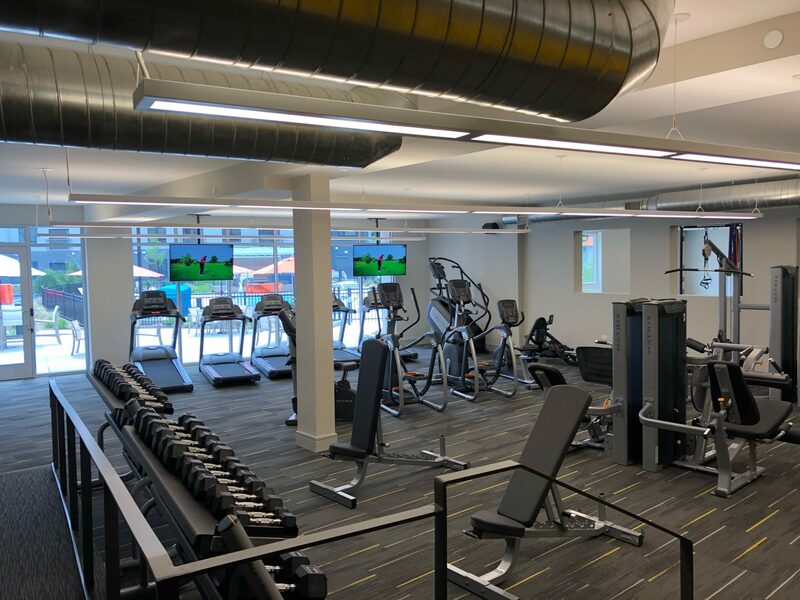 Features and amenities include a clubroom, large four seasons room, fitness area, secured exterior community area including a playground, recreational area, and outdoor grilling area, secured parking and onsite leasing center. 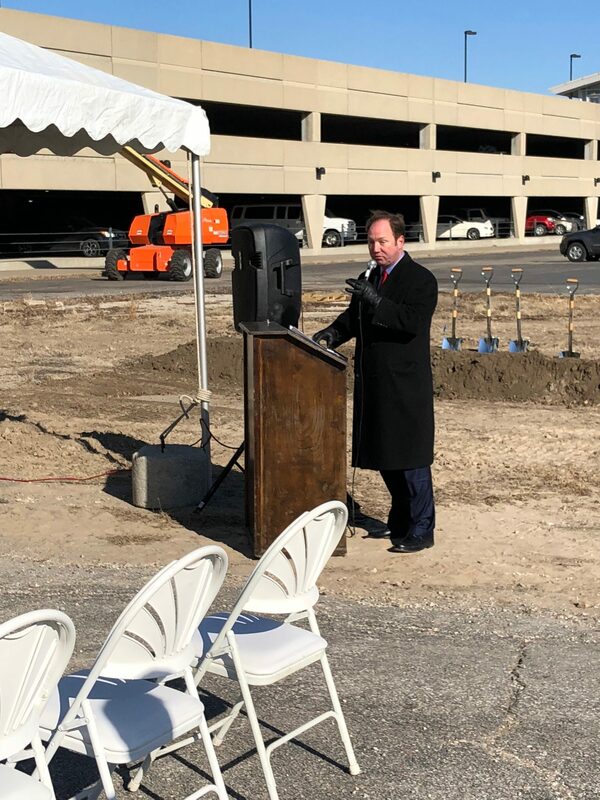 Apartments will include granite countertops, high grade appliances and smooth top ranges. 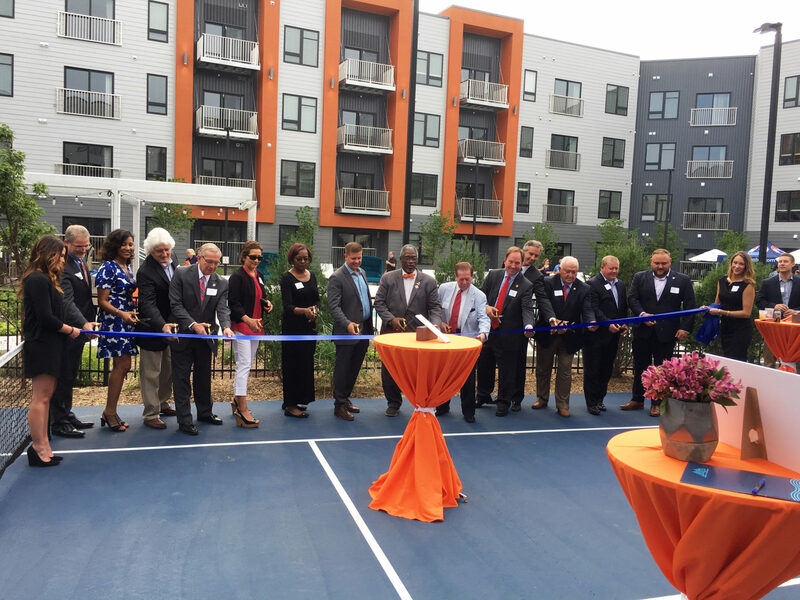 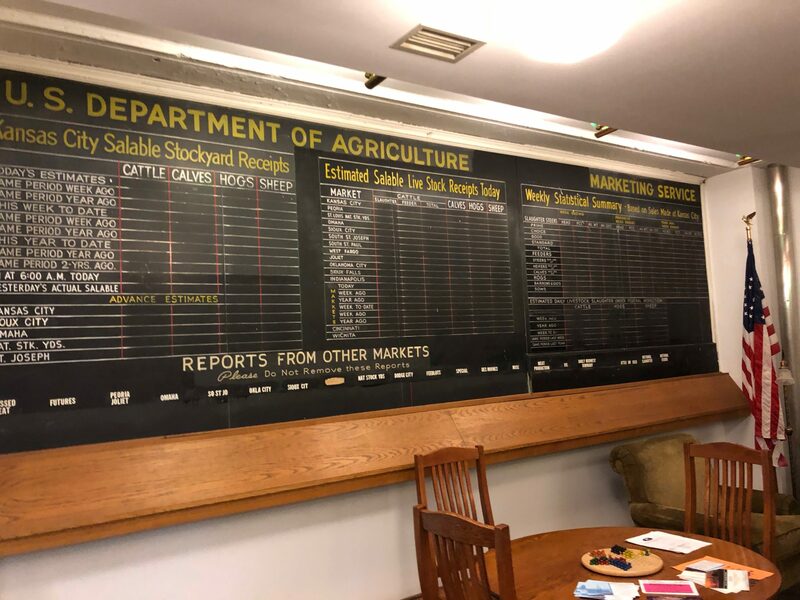 The project has drawn a variety of financial sources, including Low Income Housing Tax Credits, Historic Tax Credits, TE Bonds, Deferred Fee, Seller Financing, and DC DHCD funds. 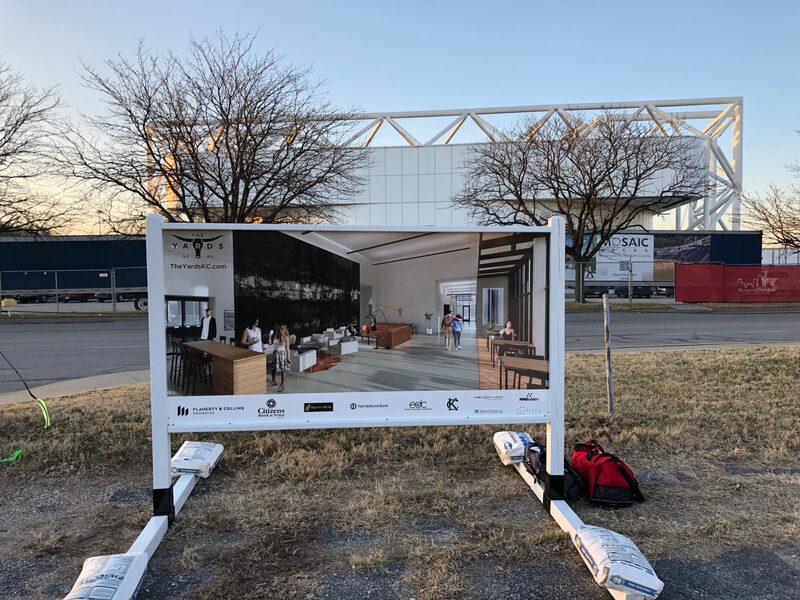 Project partners include the District of Columbia, Events DC, LISC, District of Columbia Housing Finance Agency, R4 Capital, Department of Housing and Community Development (DCHD), Office of the Deputy Mayor for Planning and Economic Development (DMPED), and the Entertainment & Sports Arena. 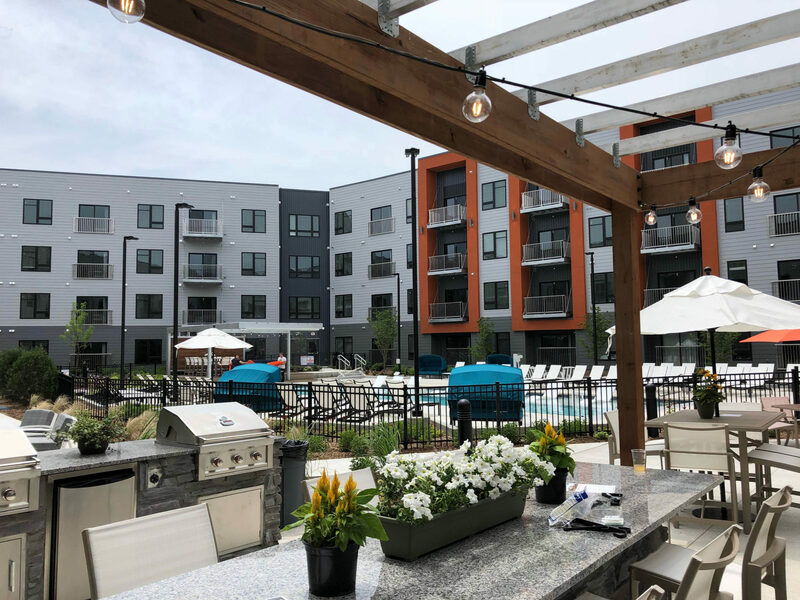 Cunningham Quill is the project architect, while GCS Sigal main construction subcontractor, while Flaherty & Collins Construction is the general contractor. 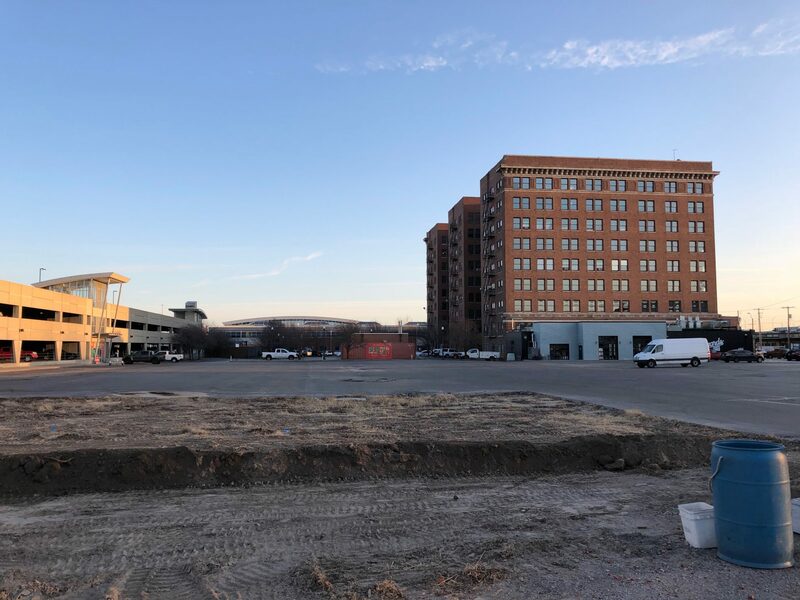 The project, at 342,585 gross square feet, plans to be completed by the December 2020.